One of the steps that is essential in making your house the home of your dreams is picking out just the right window treatments. The trick is making it a point to find the perfect team of professionals to work with. Finding true industry experts, with a genuine concern for the satisfaction of their customers, makes all of the difference. This is why so many local homeowners rely on Sweet Shutters and Shades, the local Charlotte shutter company, to get the best in quality results. With over 20 years of experience backing the company owner and founder, Diane Sweet, you can feel confident that we are dedicated to your overall experience with our shutters and window blinds company. From the first moment of your free in-home consultation until after the installation is complete, you will be able to tell a difference from the work we do compared to any of the competition. Call on us today to arrange your complimentary consultation, available any day of the week, morning, noon and night. Let us bring the showroom to your living room so you can see the samples of our shutters, shades and blinds in the space they are intended for. What better way to make good choices about your window coverings than seeing the product in your own home? 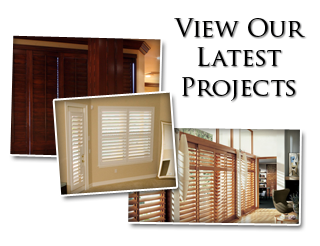 One of the most popular styles of window treatments is shutters in Charlotte, NC. A tried and true classic, shutters can do so much for the look of a home, as well as offer a number of essential benefits. Besides just adding to the visual aesthetics of your home, they also help increase the property value. Quality shutters offer both thermal and sound insulation. This makes your home more energy efficient which, in turn, saves you money on your energy bills and is the eco-friendly thing to do. Get more enjoyment overall from the benefits you gain by installing shutters. It could be that shades are more your cup of tea. We offer a wide assortment of high quality options such as Roman shades, honeycomb shades, woven wood shades and pleated shades. This includes a vast assortment of colors and other customized details, in order to make yours one of a kind. We take the time to review the pros and cons of each kind with you, so that you can make your decisions as both a wise consumer and a savvy homeowner. There is no reason to settle for less than the best, when it comes to this or any detail of your home. Get in touch with us today and let's tackle your window shade project. Window blinds are another great way to go. Some homeowners opt for subtle neutral tones for a background while others seek something more vibrant and bold to become a focal point. 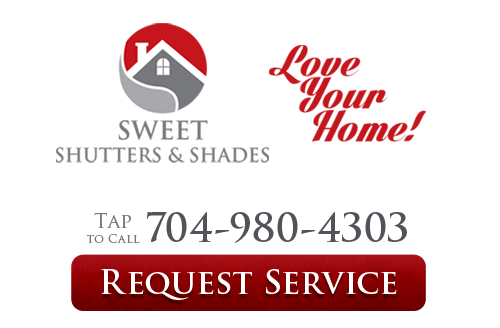 Either way, we look forward to showing you the options that you have for window blinds in Charlotte and the surrounding areas. Once you have decided on what you want, we will provide you with custom measurements and the superior quality installation you deserve. Your home is your biggest and most important investment. So every detail that goes into it matters and should be carried out with the utmost care. At Sweet Shutters and Shades we look forward to being a part of helping you get true quality, customized window treatments. We use the best name brands in the business, including familiar reputable ones like Hunter Douglas and Norman. Make the smart move and get in touch with us, right away, so we can schedule your consultation. Quality always matters, when it comes to your home, right down to your shutters, shades, blinds and draperies.